Waterproof, Smallest Pin-hole camera made especially for spy use Built-in 8GB memory. 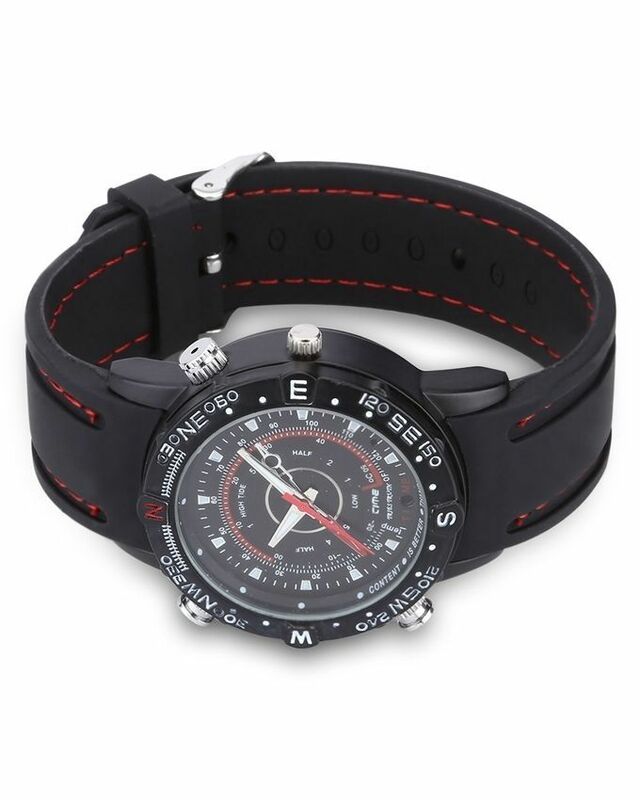 Can be used as a normal watch/USB storage device/Webcam for pc. High definition video with voice Adjustable sound recording alone for WAV format. Compatibility: Windows XP/2000/98 Plug and Play no drivers required (apart from 98). Video format 1280 x 960 AVI format, 640×480, 30 FPS Photo Format 3264 x 2448, Audio Format 128kbps, PCM Audio Power Source USB Charging/Internal Battery. Real time record any video and Separate audio evidence instantaneously. 2.5mm female jack to USB port: unscrew the left screw using a precise screwdriver such as the ones found here.